Pamela A. Moore was a principal dancer with the National Ballet Company for over 30 years and has danced every major role in the repertoire. In addition, she has received a number of grants for choreography from the Maryland State Arts Council and the Prince George’s Arts Council. 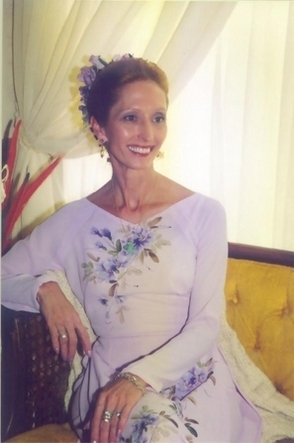 Ms. Moore received her primary training at the National Ballet under Helen Moore, Gioconda Fillippini and Robert Davis. She received full scholarships to study in England where she coached for the coveted Enrico Cecchetti Diploma under Margaret Marsh and Laura Wilson, pupils of the maestro. Ms. Moore is equally interested in arts education. She holds the Maestro Enrico Cecchetti Diploma from the Imperial Society of Teachers of Dancing, (ISTD) Cecchetti Society, London, England. Ms. Moore serves on the CCA’s general board, and is a permanent examiner and Co-Chairwoman of the Board of Examiners. She is also a Fellow member of the Cecchetti USA. Ms. Moore received a BA in dance and music from the University of Maryland and has been on the faculties of the University of Maryland, Bowie State University, and Suitland High School’s magnet school for the arts. Kirsten Koerner, DFCCA,Assistant Director, Ballet Mistress NBC and Faculty has been with the National Ballet for 15 years first as a member of the company performing as a soloist . Receiving her ballet education as child from Maryland Youth Ballet, Kirsten received a BA in Dance from Towson University and a MA in Dance from American University. While dancing in the NBC, she continued her education with Pamela Moore receiving the Enrico Cecchetti Diploma and has attained the highest teaching level in the Cecchetti Council of America, Diploma Fellow. Kimmary MacLean FCCA,Ballet Mistress NBS and Faculty is a graduate of the National Ballet School and is a Fellow member of the Cecchetti Council of America. Mrs. MacLean holds a BS in Accounting and a BA in Studio Art from the University of Maryland. Possessing a rare quality to work with young children and to impart her love for the art of ballet, Kimmary has produced many commended and highly commended results on the Cecchetti Exams. Kimmary is the Executive Director of the Creative and Performing Arts of South County. Elizabeth MacLean, LCCA, Summer School Principal and Faculty is a graduate of the Baltimore School for the Arts in Music and the National Ballet School. Miss MacLean holds the Licentiate from the Cecchetti Council of America and is a member of the National Ballet Company. Elizabeth has had outstanding results with her students receiving Highly Commended and Commended grades from the CCA and is equaly at home teaching Flute.